Some scientific specimens are preserved in 'spirit', usually alcahol or formaldehyde. 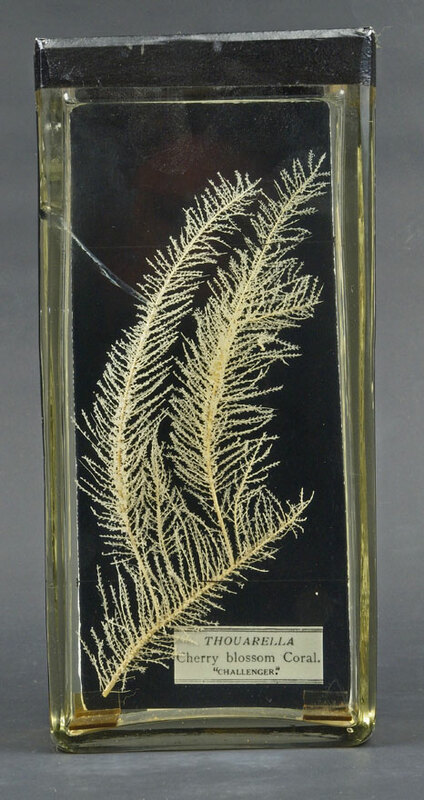 The Cherry Blossom coral is labelled as being a Challenger specimen and could therefore be from the Challenger scientific expedition of 1872-76. Many scientific expeditions at this time were part funded by the sale of the specimens they collected. 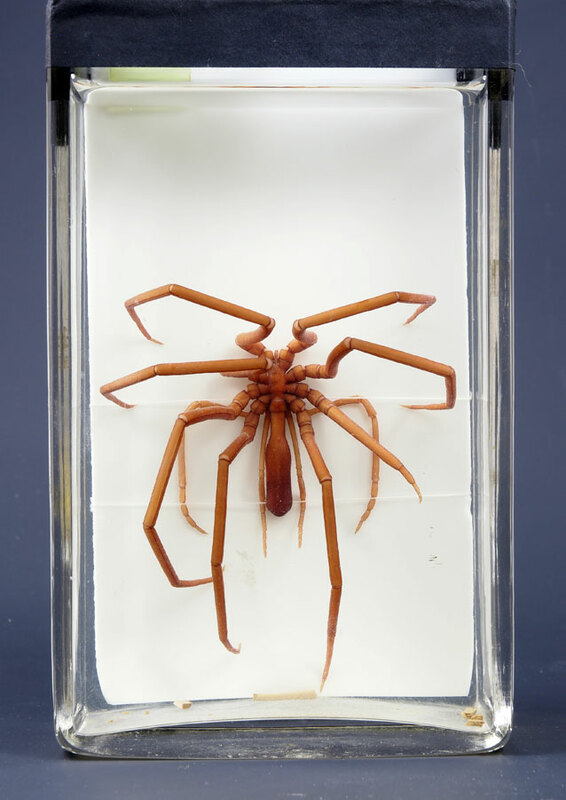 The Sea Spider is distantly related to terrestrial spiders - there is some contention here - and feeds on small organisms in shallow seas.